I love Bart Campolo. Ever since hearing him speak at a Biola University chapel when I was a student in the 90s, I have enjoyed his public ministry, but also the few personal conversations we have had. In fact, after college, I took a year to work at the Dream Center in the inner city of Los Angeles because of his encouragement. We both grew up with famous evangelist fathers, but we our lives have taken very different routes. While Bart used to be an evangelist, he is now the Secular Humanist chaplain at USC. You can read more of his “life after faith” in this interview with Warren Smith. As Christians, its important to genuinely listen to those who see the world differently than we do. While I have often disagreed with Bart, he's always thoughtful, engaging, and gracious. And that's why I interviewed him briefly for my recent book A New Kind of Apologist. Enjoy! 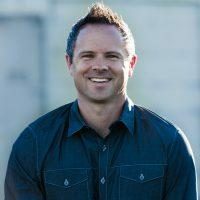 SEAN MCDOWELL: You grew up in the Christian subculture and were even an evangelist, and yet now you no longer believe in God. What happened? BART CAMPOLO: It’s a long story, but the bottom line is that I gradually lost the ability to believe the supernatural parts of the Christian narrative, despite having every incentive to stay in the faith. Eventually, all the doctrines I used to rely on seemed so clearly fabricated by human beings that I wondered how I ever managed to believe them. I ended up feeling about Christianity the way most Christians feel about Islam and Hinduism. SEAN: What label do you prefer for yourself ? BART: I call myself a secular humanist these days, not because I’m angry or fed up with the church, but because I want to attract folks who no longer or never could believe in supernatural forces but still want to actively pursue goodness as a way of life. Such people have very few spiritual leaders, so I’m just trying to let them know where they can find one. That said, I’m still grateful for Christianity, since that’s where I learned almost everything I know about love. Just as I no longer live in Philadelphia, but still speak with that accent and root for the Eagles, I’m proud of where I came from spiritually and I still support the best kinds of Jesus followers. Why humanist instead of an atheist, skeptic, agnostic, or freethinker? Well, every label has its drawbacks, but I avoid atheist and skeptic because they sound negative and because they’re too easily confused with antitheism, which doesn’t work for someone like me. Technically I’m agnostic, but that word suggests way more uncertainty than I actually feel. Even if it didn’t sound hopelessly old-fashioned, I’m too aware of my cognitive biases to call myself a freethinker. I’m not fully sold on humanist either, but at least it immediately communicates (a) that I don’t believe in God and (b) that I’m actively committed to a positive value system. SEAN: What advice would you give Christian apologists? BART: Honestly, I think you folks should stop trying to reason with thoughtful nonbelievers. After all, hardly anyone decides to follow Jesus because Christianity simply makes so much more sense to him or her than every other worldview. On the contrary, people become Christians because they are born into or enfolded into a loving community that provides meaning and purpose to their lives, and they are able to believe the Christian narrative because it makes sense in the context of that community. The primary value of your work as apologists lies in enabling your fellow Christians to stand confidently, secure that their faith is not unreasonable even though—or perhaps because—it is founded on the divine revelation of a supernatural God. You’re wasting your time with the rest of us. *This interview was used with permission from Harvest House Publishers, Eugene Oregon.